During the 2014-2015 school year, more than 70,000 students in Maryland were suspended or expelled from school. Some for serious offenses like fighting or bringing weapons to school, but others for cheating or disrupting class. Minority students are far more likely than whites to be suspended, and being suspended multiple times is more closely linked to dropping out than failing grades. More than six out of ten (62%) Maryland students suspended or expelled during the 2014-2015 school year were African American. Yet African American students were only 35% of enrollment in that same school year. White students made up 41 percent of enrollment and a quarter of suspensions. Is removing a student from school the best way to address misbehavior? What are the consequences of suspension, on both students and the school environment? 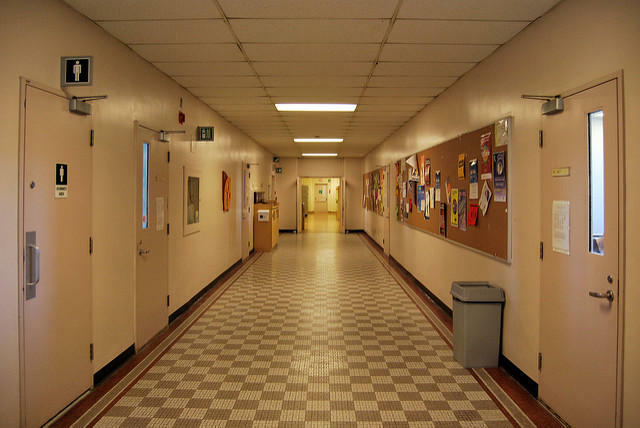 We discuss the history of zero-tolerance discipline, how students are impacted by indiscriminate policies, and alternative options to suspension and expulsion. Our guests: Derek Black, law professor at the University of South Carolina School of Law and author of “Ending Zero Tolerance: The Crisis of Absolute School Discipline"; Nicole Joseph, attorney with Disability Rights Maryland, formerly the ‘Maryland Disability Law Center,’ a nonprofit that works to protect the civil rights of people with disabilities and offers free legal services to Marylanders of any age with any disability. She is also co-chair of the Maryland Coalition to Reform School Discipline, a group made up of education and youth advocates. Under President Obama, drones have become this country’s weapon of choice in our fight against terrorism. Over half of the pilots now trained by the Air Force are drone pilots. Advocates say drones allow us to find and destroy our adversaries without endangering American lives. They can stay in the air for countless hours, tracking movement below, gathering information, and waiting for a good shot. But critics say drones too often kill civilians and function as a recruiting tool for terrorists. They also charge that drones operate outside the bounds of international law. How have drones changed the face of warfare? What are the ethical implications of this technology? Alejandro Danois, "The Boys of Dunbar"
Thirty-five years ago, Baltimore’s inner-city neighborhoods were struggling. Manufacturing jobs that had sustained families were disappearing. The crack cocaine epidemic was intensifying the drug trade, pulling in younger users, more violent dealers. Housing projects that had offered stable homes were deteriorating. From this desperate setting a remarkable coach at one of the city’s oldest African-American high schools assembled an astonishing array of talent … and drilled them into what some say was the best high-school basketball team ever. In this hour we’ll learn about some of the characters who made it happen: Coach Bob Wade. The inimitable 5-foot-3 point guard Muggsy Bogues, and other players who became N-B-A stars. We’ll talk to Alejandro Danois, author of "The Boys of Dunbar".